Are you experiencing symptoms that signal the need for transmission control module repair in Passaic County, NJ? Our experience spans over decades, starting in 1992, and we've been under the hood and body of cars ever since. We have the expertise, knowledge, tools, and care to get your car working great again so you don't experience any negative effects of your vehicle's performance. You can be sure that our professional team can give your vehicle the attention it needs in our 10,000 square foot repair shop for transmission control module repair in Passaic County, NJ. A transmission control module, commonly refered to as the TCM, is really the heart of your automatic transmission. A TCM sends signals to your transmission for a smoother driving experience, regulating the timing of gear shifts for varied driving scenarios and conditions. The TCM also regulates fuel-efficiency, so when you have a faulty TCM your car will perform erratically. Our transmission control module replacement in Passaic County, NJ can bring your car back up to speed and ready for the road quickly. When experiencing transmission control module problems, you might notice that your car's engine feels low on power and has trouble shifting gears. This is due to the faulty TCM sending the wrong information to the transmission and it is responding accordingly. You may also find that your car won't drive in reverse, or that it has a difficult time upshifting when on a highway. When experiencing any of these symptoms, bring your car in for transmission control module repair in Passaic County, NJ. TCM is a computer system that helps regulate gear shifting, and if improperly-functioning, the TCM can cause major problems for your car that can lead to more costly repairs down the line. When we perform transmission control module repair in Passaic County, NJ, we look for problems related to the TCM error reads. While normal wear-and-tear of a vehicle will require transmission control module replacement in Passaic County, NJ, sometimes voltage overloads and water damage can cause misreads within the system too. Our team of professional service people will look for any problems related to transmission control module repair in Passaic County, NJ, including short circuits, corrosion, and voltage overload. Our goal is to provide exceptional customer service and get your car back on the road as quickly as possible. Our years of knowledge about many makes and models of cars provides us with advanced techniques for transmission control module replacement in Passaic County, NJ. Transmission control module replacement in Passaic County, NJ is necessary when you experience any of the aforementioned symptoms. Make sure to bring your car in for expert service and care, for repairs performed by expert professionals with the years of experience needed to get your car running properly quickly and affordably. For more information about transmission control module repair in Passaic County, NJ, call European Exchange today at (201) 880-6633. 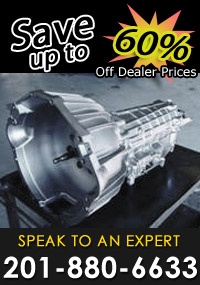 European Exchange – Your trusted source for transmission control module repair in Passaic County, NJ.